American Psychological Association (APA), 9781433809781, 232pp. 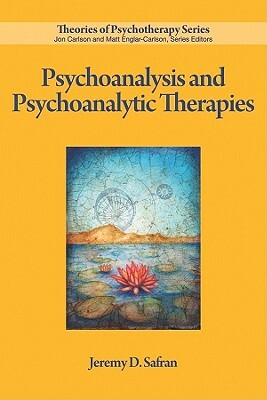 In Psychoanalysis and Psychoanalytic Therapies, Jeremy D. Safran provides a masterful and engaging overview of this uniquely important of family of theories and approaches to psychotherapy, developed and refined over more than a century by key theorists, researchers and clinicians around the word. He also examines the origins of psychoanalysis as a new way of looking at inner life, and discusses its role as one of the more influential intellectual developments of the 20th century.This book charts the major turning points in the development of psychoanalytic theory, as well as cutting edge developments in theory, practice and research. Safran explores the way in which psychoanalysis, which originated in middle Europe at the end of the nineteenth century, evolved in diverse ways as it took hold in different countries and cultures.